We haven’t seen much in the way of Mac Pro updates or upgrades in a long time. However, nearly a year ago, in April 2017, Apple recognized the public outcry for Mac Pro support by hinting that it’s working on a ‘modular’ and ‘upgradeable’ Mac Pro. That’s not all – Apple has come out and declared support of the mac pro in a press release for the iMac Pro sale date last year. So, a New Mac Pro is on the way, we’ll just have to wait until 2019. The bigger question, then, is ‘when in 2019 will we see the new Mac Pro?’ Well, we don’t know, but we have our money on a Spring release, assuming it doesn’t get pushed back to WWDC 2019. However, if the new Mac Pro is going to be modular like Apple suggests, what will that look like? What will be upgradeable? Will it look like a juiced up HomePod? Before we dive into all of the boundless speculation, we need to lay out the basics. Now, while the new Mac Pro used to be the one Apple product we actually knew with absolute certainty could have been released in 2018, we were mistaken. It turns out the new Mac Pro has been confirmed for a 2019 release date. 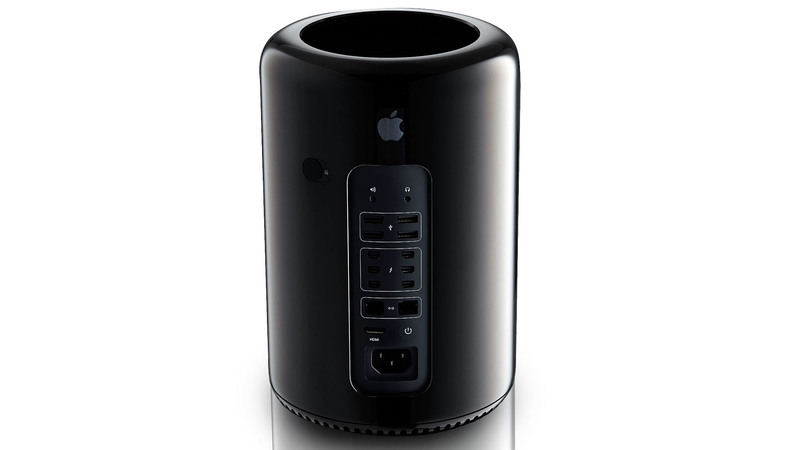 The current Mac Pro computer debuted at the June 2013 Apple Worldwide Developers Conference (WWDC), with a December 2013 final release date. Of course, many purchasers didn’t get their computers until April 2014 on account of backorders. Given how long its been since the previous update to the Mac Pro, it would be unwise for Apple to drive the asking price any higher. Before that, the original Mac Pro was revealed to the world during the August 2006 WWDC, getting into the public’s hands within the same month. However, the release of the MacBook Pro 2018 kind of throws all of our expectations off. Apple’s strategy for 2018 seems to be ‘wait until it’s ready and then just release it’. Whether that will extend beyond the 2018 iPad and MacBook Pro remains to be seen, but we could end up waiting until next year to see the new Mac Pro. However, if Apple is going to show the Mac Pro 2019 off at an event, we may see it at the iPhone reveal event next month. Apple could do a major hardware event where they cover Macs, iPhones and iPads – especially following the news that Apple has become the world’s first trillion dollar company. However, even if Apple did do a major hardware event that covered Macs as well as the new iPhones, it’s unlikely we’ll see the new Mac Pro there – we’ll likely see it when Apple is ready to release it. We have absolutely no Mac Pro 2019 pricing information from neither leaks nor Apple’s own remarks on the device. So, once again we’re left to speculate based on the pricing of previous Mac Pro models. The current Mac Pro, largely unchanged since its 2013 release, calls for a whopping $2,999, £2,999 or AU$4,899 to start. The only other model available hikes the price up by $1,000, £900 and AU$1,600, respectively, for some beefy component upgrades. This Mac Pro could be one of the three Mac computers expected to launch this year with one of Apples new T series co-processors inside. However, if the new Mac Pro’s ‘modular, upgradeable’ nature turns out to be true, that could lead the firm to price the device accordingly, knowing that end users would no longer have to turn to it for upgrades. What will be inside the computer is, sadly, another unknown regarding the Mac Pro for 2019, save for a scant few details. 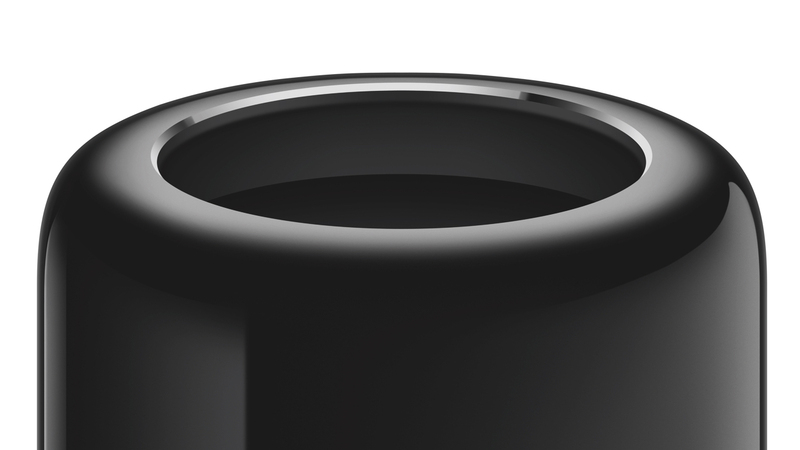 For starters, we know that Apple is focused on issuing a Mac Pro with a modular and upgradeable design. So, we know that Apple is intending to make at least some of the Mac Pro design easy to manage, upgrade and set up in different configurations. If true, the Mac Pro 2019 will have to work with a large variety of off-the-shelf parts – at least ‘off the shelf’ for business pros or IT managers. Simply put, there wasnt enough room in the last Mac Pro for storage expansion, and that needs to change in the 2019 model. Simply put, there wasn’t enough room in the last Mac Pro for storage expansion, and that needs to change in the 2019 model. We also know that Apple has a display in the works, presumably one that was designed with the performance of the Mac Pro in mind. As of last September, reports circulated that an 8K (7,680 x 4,320) resolution display was in the works at Apple, and that it would compete with the 32-inch Dell UltraSharp monitor that we recently reviewed. It would come with either 10-bit dithering or native 10-bit colors as well, but not a touchscreen, which isn’t surprising given Apple’s aversion to adding touch to the Mac. The other sliver of information that we have is that the Mac Pro 2019 may launch with a co-processor, which would likely hint at the Mac Pro 2019 being an early part of Apple’s rumored Kalamata initiative, which will see the Cupertino giant replacing all Intel silicon with its own by 2020. The fact that we won’t see it in 2018 on top of Apple hiring a bunch of ex-Intel engineers to work on Apple chips gives this theory more credence. As far as the Co-processors go, we could see something like the T1 (which manages the MacBook Pro Touch Bar and Touch ID) and T2 (which manages the iMac Pro hardware security and allows for the automatic ‘Hey Siri’ command). Whichever role it fills, it will offload critical tasks from the Intel processors that will likely be inside the Mac Pro 2019. How will this manifest inside the Mac Pro for 2019? The mos likely scenario is the latter one: implementing the very same T2 chip inside the iMac Pro into this device. That would bring pro-grade security and on-demand Siri to the Mac Pro, the former of which is crucial for getting traction in office environments. 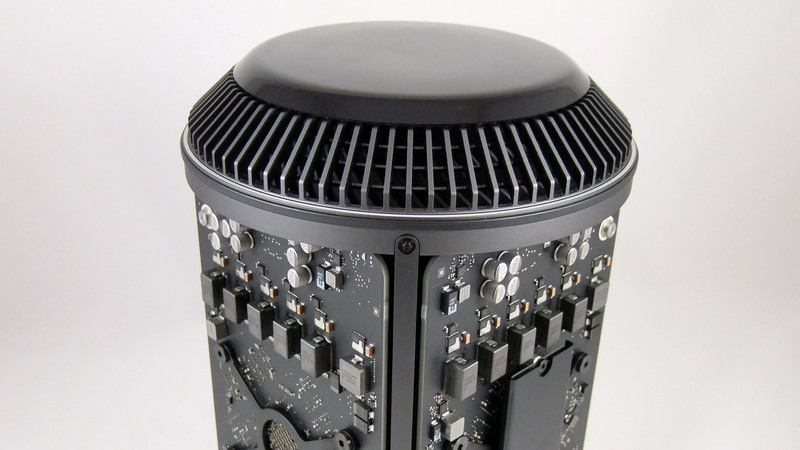 However, the inclusion of the T2 chip might go against the Mac Pro’s ability to be serviced by users. It’s recently come out that Apple has locked out the iMac Pro and 2018 MacBook Pro, which both use the T2 chip, from being serviced by anyone other than Apple and its authorized service providers. Beyond this, it’s difficult to forecast much of anything hardware-wise that will be found in the Mac Pro 2019, especially when factoring in conflicting reports that Apple won’t make any major changes to its Macs in 2018. All of these rumors swirling around a potential Mac Pro 2019 release puts us in prime position for a well-crafted wishlist. So, here’s what we hope to see Apple upgrade within the Mac Pro for 2019. Simply put, there wasn’t enough room in the last Mac Pro for storage expansion, and that needs to change in the 2019 model. Good thing, then, that words like ‘modular’ make us confident that this will, indeed, be the case. Hot swappable storage bays, anyone? We criticized Apple in our Mac Pro review for not offering a dual-processor option. Surely, there are a ton of video editors out there that would relish the opportunity for speedy rendering and encoding power. And, because we don’t see Apple including the Ryzen Threadripper 2990WX, a dual processor option might be the best way to get 32-cores of processing power in the new Mac Pro. 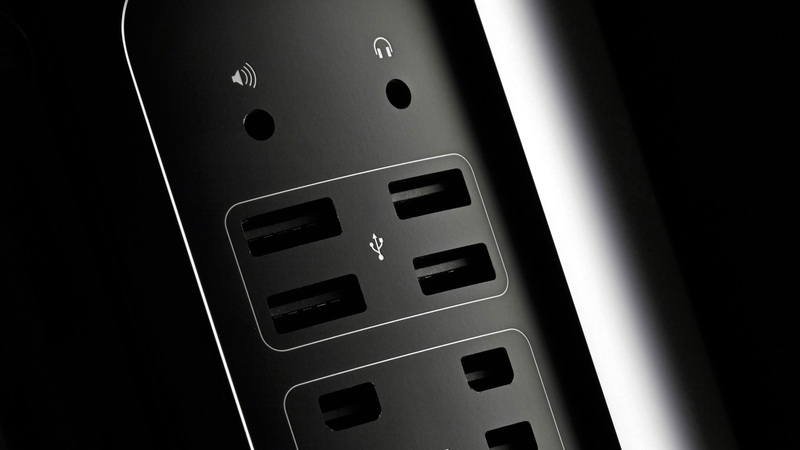 The 2013 Mac Pro shipped without any Magic Keyboard or Magic Mouse included. Simply put, we’d like to see this change with the 2019 version. Shipping an Apple computer without proper inputs is like trying to sell a car without the steering wheel. Now that it has been bandied about for so long, the idea of iOS apps on a Mac computer has grown on us. We’d love to see our favorite iPhone and iPad apps make their way to the desktop. After WWDC 2018, though, we now know exactly how Apple is going to handle this. Instead of just opening the App Store on macOS, we’ll be getting a limited selection of key iOS apps ported over. MacOS 10.14 will have access to News, Stocks, Voice Memos and Home, with more eventually coming over in 2019. These apps will be redesigned to feel natural on macOS – so, no touchscreen necessary.